Top Service Ltd (company registration number 03662973) and includes the trading style ‘TS Legal’. of 2-3 Regents Court far Moor Lane, Redditch, Worcestershire B98 0SD. And where a Top Service Ltd customer, or any company relating to a Top Service Ltd customer engages in our services in a collections capacity via telephone, email or website is hereafter referred to as ‘you’. Instructions are sent to us via our website, by email, by telephone or fax. Once an instruction is received it is processed within 24 hours (excluding weekends, bank holidays and the period between Xmas Eve & New years Day). In the event you require us to cancel your instruction no charge for any payments received will be made, provided the cancellation is received within a 48 hour period from the instruction being received by us (provided the payment has been made direct to you and not via us). Instructions cancelled outside of this 48 hour period will be subject to commission is a payment has been received. We will accept an instruction from you to act on your behalf to recover a debt and any interest, compensation and other charges, provided the debt us still collectable by law. Examples of a debt being non-collectable are: the debt is subject to the Limitation Act 1980, the debtor company is now in Liquidation or other form of insolvency. We will contact you as soon as we are aware of any potential problems with a case to seek either further instruction from you or to offer advice on alternative action. We will keep you informed on a regular basis and inform you immediately of any payments we receive. All cases can be viewed & tracked via our website using the secure login details provided to you. If you have any difficulties in using our website, assistance is available from our helpdesk team (01527 518800). We will use all reasonable and legally compliant endeavours to recover the debt on your behalf. We take legal compliance very seriously. We are an affiliate member of the Credit Services Association, authorised and regulated by the Financial Conduct Authority and registered under the Data Protection Act 1998. Unless otherwise instructed by you, we will seek confirmation from you regarding settlements, staged payments or escalation to the next level of collection. You will provide us with the minimum information required to process the instruction. From time to time we may require further information (copy invoices, agreements etc). Requests for extra information may be made in order for the case to be dealt with effectively (if this information is not provided with the original instruction). You agree to provide this information as quickly as possible in order for us to maintain an efficient and effective service. Information provided to us by you will be as accurate as possible and will give a true reflection of the background of the case. You should endeavour not to make contact with the debtor once an instruction is sent to us. If the debtor contacts you direct you should inform us of any negotiations, discussions, agreements, payment promises etc, that are made. When you receive a payment from a debtor you should inform us as soon as possible by telephone, by email or via our website. It is your responsibility to ensure that any information passed to us is compliant with current ICO regulations for data protection. It is your responsibility to indicate whether you require us to collect either contractual or statutory interest & compensation or any other charges that you are legally entitled to. We may require a copy of your terms & conditions and / or contract. We endeavour to get payments from debtors paid in the quickest format for you. In cases where cheques are made payable to us will be banked in a separate client bank account. Upon clearance the full amount will be transferred to you electronically. Debtor cheques sent to us, but made payable to you, are forwarded to you by first class post within 24 hours (excluding weekends and bank holidays). In cases we have taken debtor card payments. The payment will be sent to you electronically, upon clearance (usually 3 working days). We charge commission (no collection no, no fee) on payments made by the debtor immediately after an instruction is received. Please see our website for our commission charges. An additional 1% is added to the standard commission rates for cases within our pre-litigation department. You will be invoiced at the end of each calendar month for any commission incurred during that month. Negligible amounts of commission will be carried forward to the following month. Our commission payments are 45 day terms. Where your payments are made to us via Direct Debit you will receive your invoice and payment will be taken by DD no sooner than 40 days after the invoice date. Court fee’s, other disbursements and solicitors fee’s are paid by Top Service to our solicitor on your behalf. 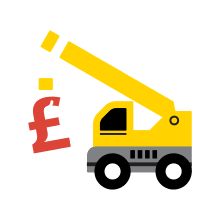 For this reason you will be invoiced for these charges at the end of each month and the amount will become due strictly 15 days after invoice date. Where your payments are made to us via Direct Debit you will receive your invoice on or around the 25th of the month and payment will be taken by DD not before the 10th of the following month. In the unlikely event you are dissatisfied with the service you receive please contact our Debt Recovery manager by email complaints@top-service.co.uk, by telephone 01527 518802 or by post to The Debt Recovery Manager, Top Service Ltd, 2-3 Regents Court, Far Moor lane, Redditch, Worcestershire, B98 0SD. A copy of our complaints procedure is available upon request. Please note that calls made to and from our switchboard are recorded for training, monitoring and compliance purposes. Telephone calls are securely stored for a reasonable period, along with all website and email instructions. This information may be taken into account should any queries be raised.